1.1. The Association WISTA UK is constituted as a civil non-profit society, with administrative and financial autonomy, governed by the present Articles. 1.2 The association is headquartered in the city of London, UK. 2.1.5. To achieving these goals WISTA UK can carry out service work, teaching, research, events and prepare publications, as well as participate in the training of technical staff related to its purposes. 2.2 In order to fulfil its goals, the Association will organise as many Working Groups (WGs) as may be necessary, which will have specified period, that may be extended, justifiably, by the Executive Committee, and shall be governed by specific internal regulations, to be prepared and approved by the Executive Committee, respecting the representativeness and impossibility of re-election of its coordinators, after 3 years of conducting the work, or its completion, whichever occurs first. 2.3 The Association may enter into agreements or contracts and connect, the convenient way, with organisations or entity, public or private. 2.4 The duration is indefinite. 3.2 The Association´s income can only be conducted for the maintenance of its goals and provided contained in budget forecasting. 4.1 WISTA UK consists of unlimited number of members, distributed among the following membership categories: cadet, associate, individual, corporate and honorary. 4.2 Founding members are those who composed the first General Assembly of WISTA UK. 4.3 Full members including corporate members are female individuals engaged in the corporate objectives described in clause 2.1 and approved by the Executive Committee, by simple majority, with subsequent ratification by the General Assembly. 4.5 Honorary members will be approved by the General Assembly among the full members after statement of the Executive Committee, based on significant contribution to corporate goals. Honorary members may not vote or be voted for President and positions of the Executive Committee. 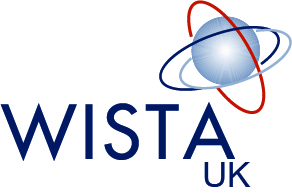 4.6 Male individuals may participate in WISTA UK as Mister WISTA members, without the right to vote or to be voted for President or positions of the Executive Committee. 4.7 The Executive Committee determines the payment of annual membership fee, the amount and date and this shall be approved at the General Assembly. 4.8 Members and leaders of WISTA UK do not respond solidarity or secondarily to the obligations of the entity. 4.9 Membership fee will not be refunded in the event of any member expelled from the Association. 4.10 In the context of disciplinary action before the Executive Committee there may apply warning penalties, suspension and exclusion, and in the last two cases, the decision of the Executive Committee shall be ratified by the General Assembly. 4.11 The penalty of expulsion may be applied in case of conduct incompatible with the purpose and Code and Honour of the Association, after application of the notification and suspension penalties, except, however, in cases where the conduct is considered a crime or misdemeanour, by UK law, which shall authorize application of the penalty of immediate exclusion. b) Involuntarily when failing to pay annuity, unless an extension is given by the Executive Committee, for good cause, before the due date. c) Involuntarily, for conduct incompatible with the purpose and the Association Code of Conduct (APPENDIX I), through an administrative procedure initiated by the Executive Committee, after contradictory and full defence and absolute majority decision of the members of the General Assembly, after hearing the Board of Founders and Benefactors. 5.1 The Association’s deliberative and administrative bodies are the General Assembly, the Executive Committee, the Board of Benefactors and the Audit Committee. 5.2 The General Assembly, which is the supreme body of the entity, shall consist of all its Members exercising their statutory rights and without overdue annuities. VIII – decide on the termination of the Association and the future of the patrimony. a) in the first half of March of each year for the budget allocation and planning activities for the Association, as well as to discuss the report submitted by the Executive Committee on the activities for the fiscal year ended. b) b) in the first half of November every two years to elect the Executive Committee of the Association and Audit Committee. IV – by 1/3 of its members. 5.6 The convocation of ordinary and extraordinary meetings shall be made by e-mail to all members who are required to maintain their addresses updated. 5.6.1 The regular meetings shall be convened on first convocation, with the minimum attendance of two-thirds (2/3) of the General Assembly members and on second convocation, thirty (30) minutes, with any number of members present. 5.6.2 The extraordinary meetings shall be convened on first convocation, with two thirds (2/3) of the General Assembly members and, on second convocation, thirty (30) minutes, with an absolute majority of the members of the body. d) termination of the Association. 5.8 Members may be represented at the General Assembly by authorized or legal representative, provided that they have presented document with specific powers to the Assembly in question up to an hour before the first convocation. 5.9 If it is decided to extinct the Association, its assets, after fulfilled of obligations, it will be incorporated into another branch Association, at the discretion of the General Assembly. 6.2 The mandate of Board members shall be three years, starting on the first calendar day of the next election year. 6.3 If a vacancy occurs in any position of the Board, it is up to the respective substitute to replace until the end of the period for which the position was elected. 6.4 If a vacancy occurs among the substitute members of the Executive Committee, the General Assembly shall meet within thirty days after the vacancy to elect a new member. 6.5 Full members of the Association can apply for vacancies of the Executive Committee, given that they are up to date with their annual fees and have participated in at least 60% of the meetings and activities of the previous year prior application. 6.6 Cadet/student members up to date with their annual fees and having participated in at least 60% of the meetings and activities of the previous year prior application may apply for a preferred vacancy in the Executive Committee. V – sign any documents relating to the active operations of the Association. IV – Assist the President in the direction and supervision of the Association’s activities. V – Take minutes of meetings and circulate as appropriate. III – keep the registry organised with respective books and correspondence. 7.1 the permanent Board of Benefactors is composed by the Founding Members, the Ex-Presidents, and, when applicable, the outgoing President, the incoming President and the President of the Audit Committee. 7.3 The Board of Benefactors shall elect every three years, from among its members, in the second half of March, its President and Vice President. 7.4 The Presidency of the Board of Benefactors may never be exercised concurrently by the President of the Executive Committee and the Audit Committee. 7.5 The Board of Benefactors shall be convened by its President when deemed necessary or when requested by the President of the Executive Committee or the Audit Committee, and can operate with one third (1/3) of its members, except in the second call, when it is permissible to work with any number. It is up to the session of the President to appoint a member to secretary. 7.6 The attendance of the President of the Executive Committee or who is holding the presidency is mandatory at the meetings of the Board of Benefactors unless justified excuse in writing that in its full, must be included in the minutes. 8.1 The Audit Committee shall consist of (03) persons of recognized competence and their respective substitutes, elected by the General Assembly, permitted only one re-election. 8.2 The mandate of the Audit Committee shall coincide with the mandate of the Board. replace until the end of the term for which the position was elected. IV – opine on the acquisition, sale and encumbrance of assets belonging to the Association. 8.5 The Audit Committee shall meet every six (6) months and extraordinarily, whenever necessary. 8.6 The Audit Committee shall elect its President at the first meeting after their foundation. 9.1 The positions of the Association’s Board of Directors are not paid, whatever the title is, it is expressly prohibited by its members to receive any profit, gratuity, bonus or advantage. 9.2 The Cadet/Student Member Founders shall serve the Board of Benefactors as they become Full Members. 9.3 The financial year of the Association coincides with the calendar year. 9.4 The budget of WISTA UK is unique, yearly and will include all income and expenses, and is composed of estimated revenue, broken down by analytical allocations and breakdown of expenditure in order to show its relation to each body, sub-body, project or work program. 9.5 The First Executive Committee of the Association after the foundation will operate temporarily until the beginning of the next calendar year after the election, when the start of the term will begin. 9.6 Omissions will be resolved by the Executive Committee and approved by the General Assembly, after hearing the Board of Benefactors, electing a forum in the judicial district of London, to remedy any doubts. 1.3 counselling and mentoring Cadet/Student women in the industry, whether formally or informally, and assisting them to join the industry. 2.5 The Association shall endeavour to advance the interests of women in the maritime industry and promote an exchange of contacts and experiences among the members, which could lead to new business and new business relationships.